Despite being Sydney born and bred I am a winter gal through and through. The cool air, the fabulous clothes and the amazing winter fare is my kind of lifestyle. Forget frolicking at the beach or being burnt to a crisp – give me the great indoors, a fire and some cookbooks and I’m in hog heaven. 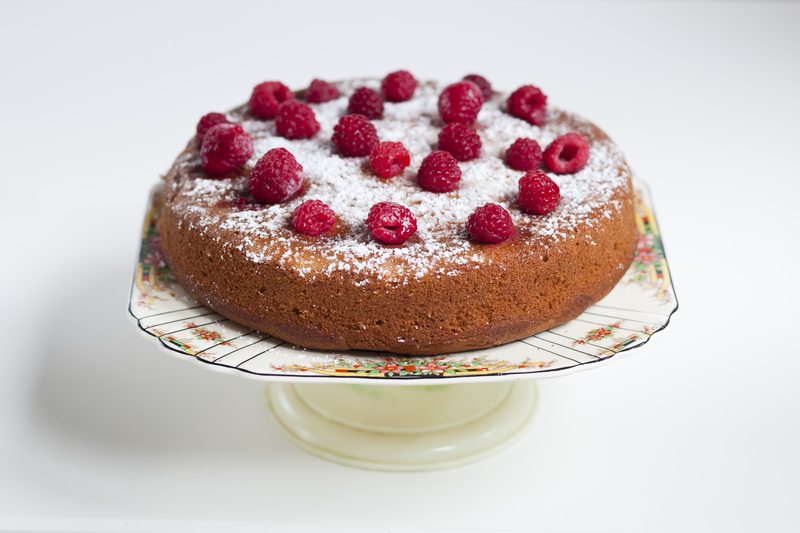 Of all the winter foods my favourite to cook and eat must be puddings. Despite not having an overly sweet tooth I am always drawn to puddings: self-saucing, gooey, oozy numbers are what the cold weather is all about. Wand when it comes to a hearty dessert to make you happy to be alive it is hard to go past a bread and butter pud. 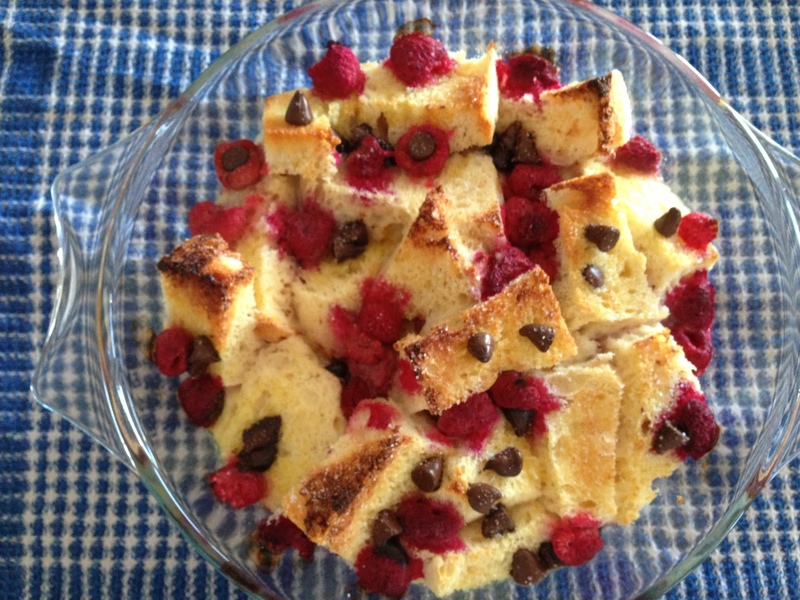 Australian blogger and writer Kate Gibbs’ recipe for choc raspberry bread and butter pudding, from her book After Toast, had my name on it: I had a stale loaf of chunky white bread and due to shopping miscommunication about 8 litres of milk in the fridge. I made a few tweaks including the amount of eggs and milk and omitting jam that was used on the bread slices. Cut bread into small rectangles or triangles then butter each piece on one side. 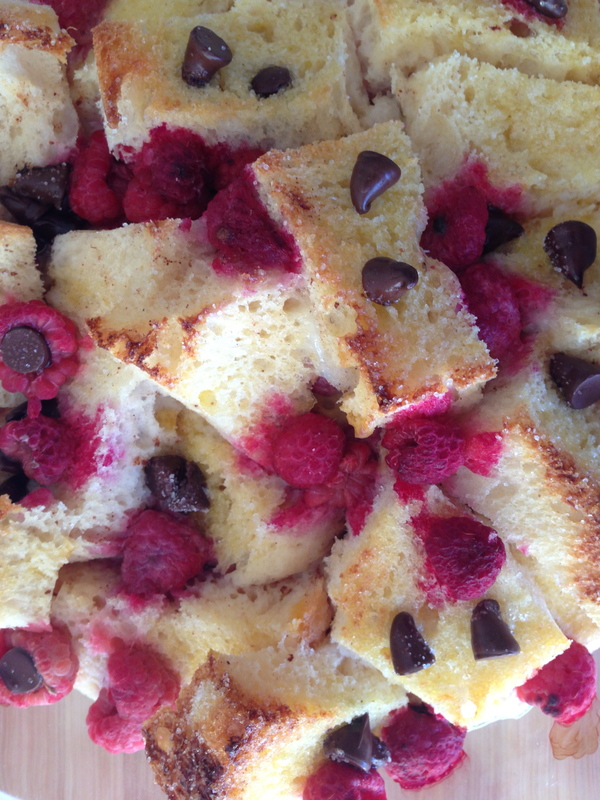 Arrange in shallow ovenproof dish and scatter with half the raspberries and all of the chocolate. Cover with remaining bread. In a large jug whisk eggs until frothy then beat in milk, vanilla and cinnamon. 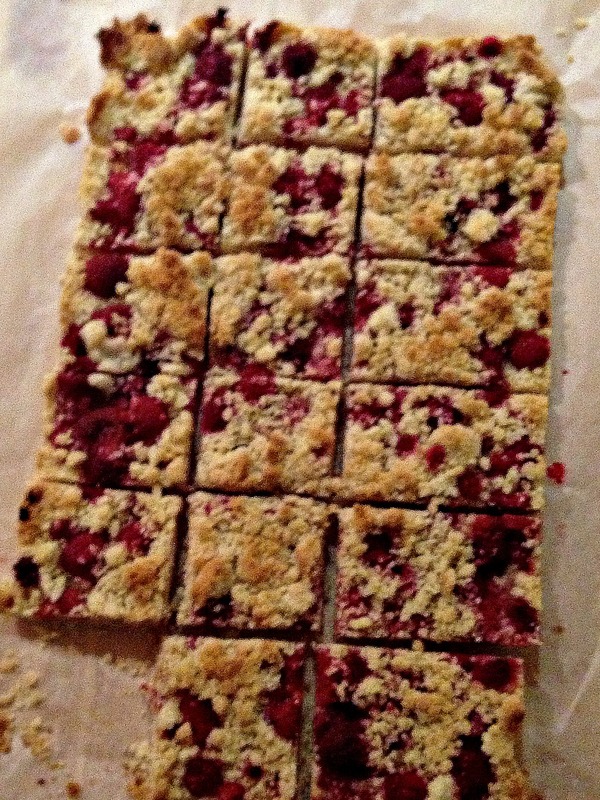 Pour over bread and scatter over remaining berries. Sprinkle over the extra sugar, cover with baking paper and bake for 20 minutes. Remove paper and bake for another 15. 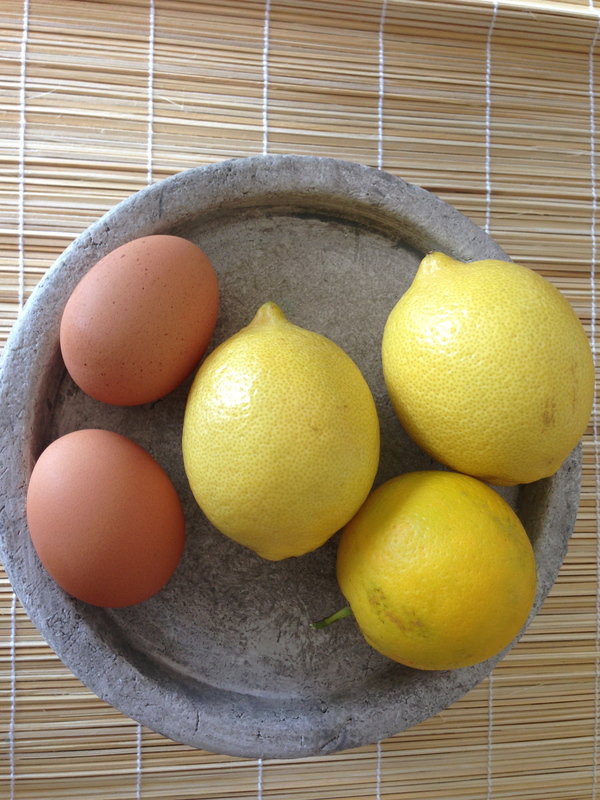 I had a hankering to bake something lemony this morning and trawled though pinterest, fav websites and some blogs. 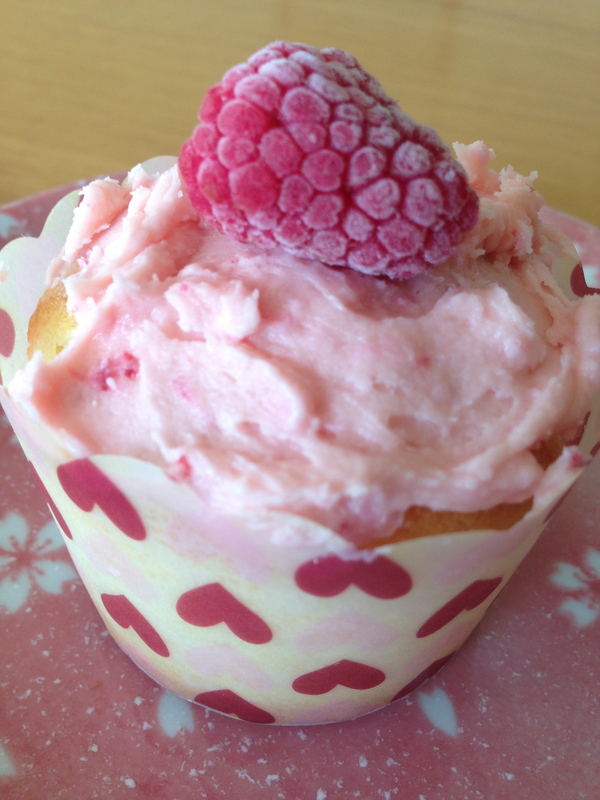 What caught my eye was a recipe for lemony cupcakes in the book After Toast by food writer Kate Gibbs. 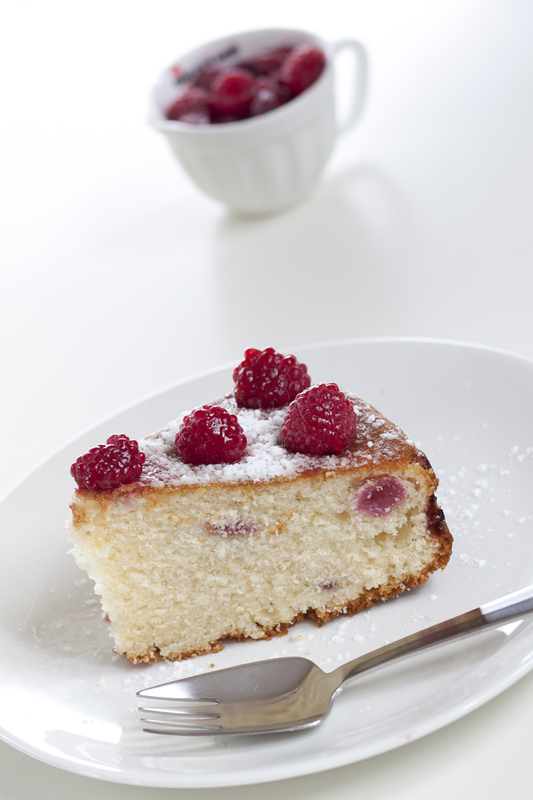 Simple and light they are perfect for a morning tea when dusted with sifted icing sugar. 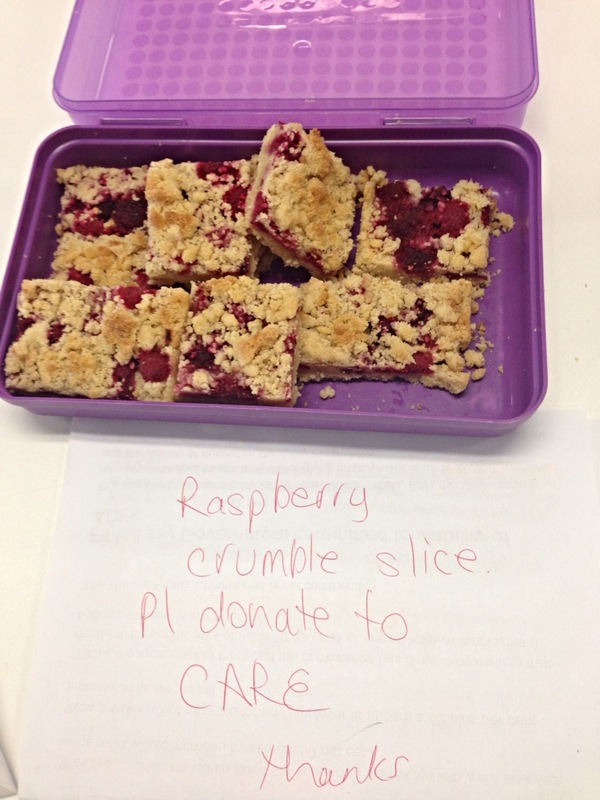 Ms Gibbs includes a recipe for lemon icing but I instead used a crushed raspberry icing that Miss 7 had made for something she was baking [I’ll upload that recipe soon]. 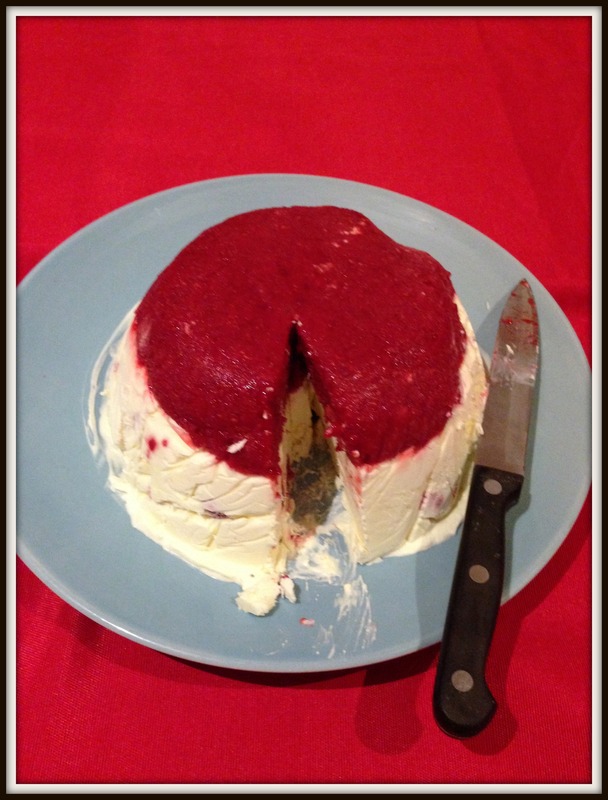 I then topped each cake with a single raspberry to make them look extra pretty and more suitable for the evening birthday soiree that I’ll be taking them to. 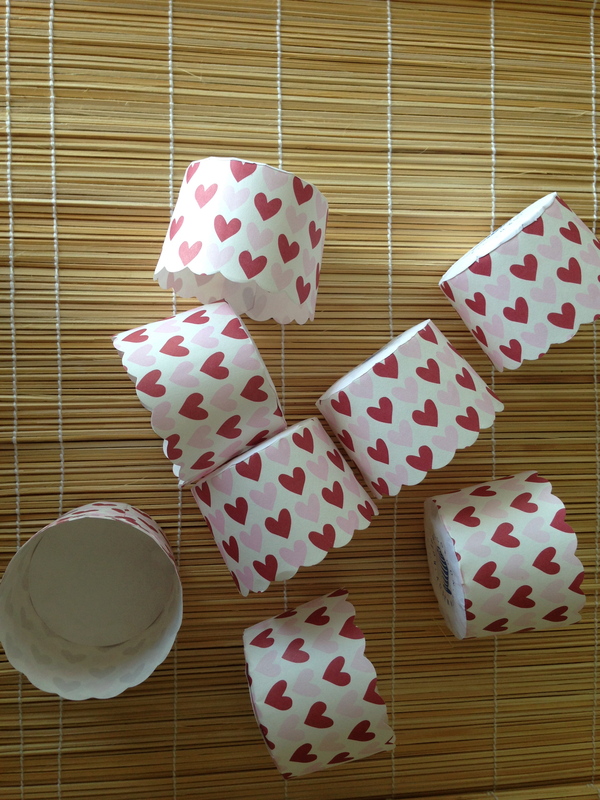 Preheat oven to 180C and line cupcake tin with wrappers [this made 12 large muffins and 6 small, patty-cake size ones]. In bowl of electric mixer cream butter then add sugar until soft and combined. Add vanilla, zest then eggs one at a time. Gently fold flour in, alternating with milk,on low speed until smooth. Spoon into cases and bake for between 12-15 minutes/ until golden. 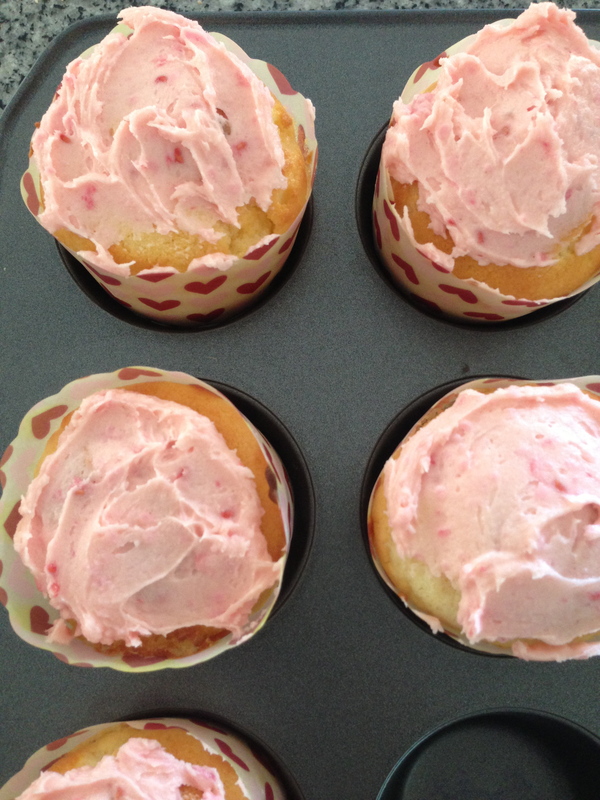 Remove from oven, place on wore rack and allow to cool before adding any icing. 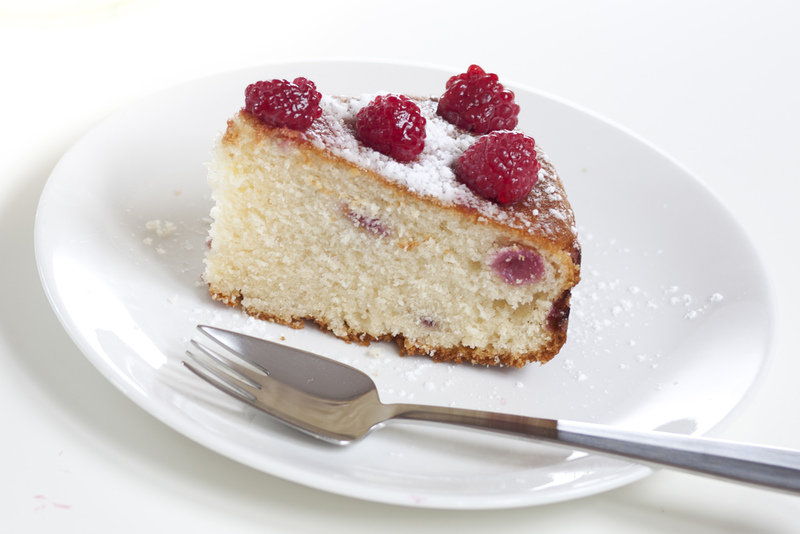 Spread 3/4 of cake mix into pan and sprinkle with remaining berries then spread remainder of batter over the top. 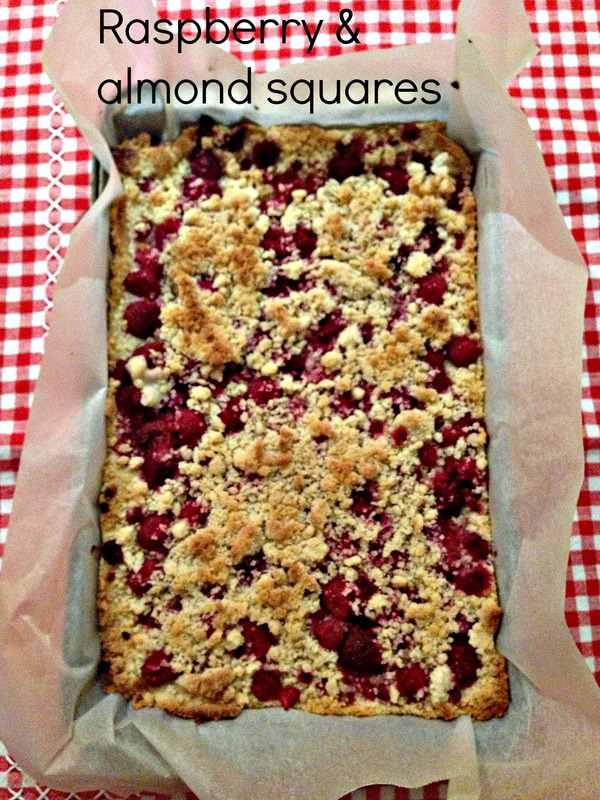 Bake for between 45-60 mins [depending on oven]. 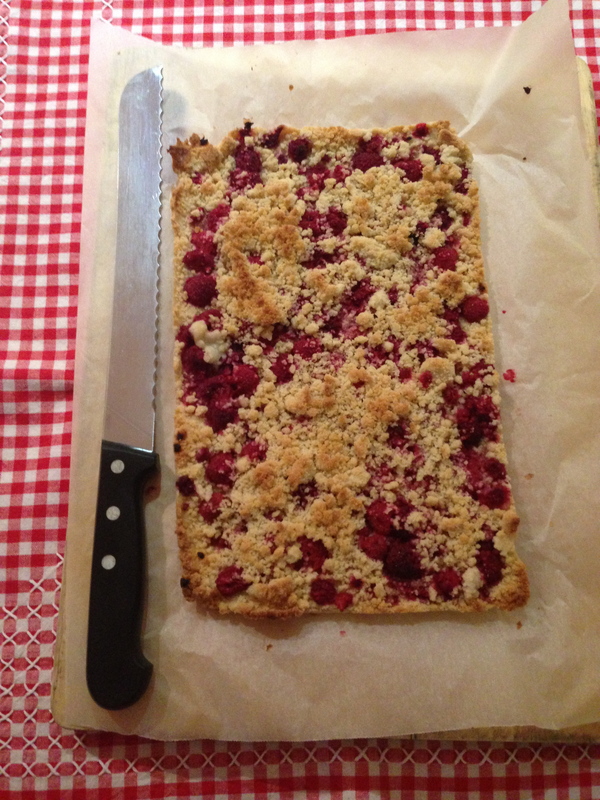 Stand cake in pan 5 minutes, turn top side up onto wire rcak. 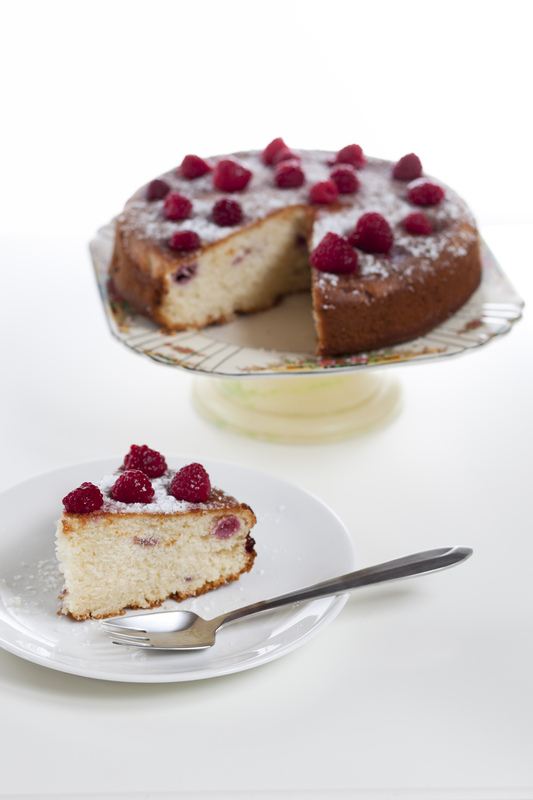 When cold sprinkle with sifted icing sugar and decorate with a few extra berries.